Major General Dato’ Toh Choon Siang (second left front) and Mayor General Subiyano (front third left) in a photo with Malaysian and Indonesia Armed Forces personnel. Major General Dato’ Toh Choon Siang speaking to reporters. 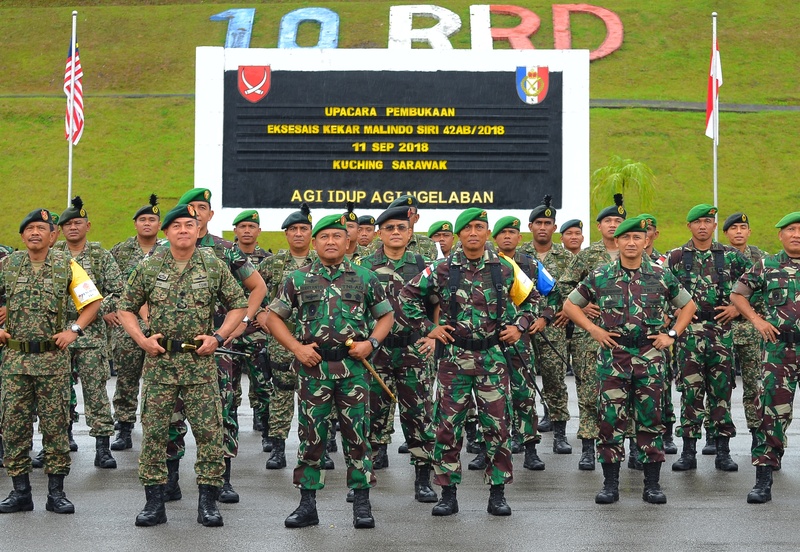 KOTA SAMARAHAN: The team members from the Malaysian 1st Infantry Division doing the borders’ patrol are confident that they are able to control smuggling activities in the area from getting out of hand. Its commander Major General Dato’ Toh Choon Siang, said that his team is working together with their Indonesian counterparts in Kalimantan in keeping the border safe. “With this level of cooperation with the Indonesian National Armed Forces (TNI), we are able to keep track of smuggling activities,” he said after officiating at the ‘Pembukaan Eksais Kekar Malindo Siri 42AB/2018’ together with Panglima Kodam 6/Mulawarman, Mayor Jenderal TNI Subiyonto at Muara Tuang camp yesterday, Toh added that at this moment, the military team from both countries had a combined post throughout the border that enables them to assist one another. “Although it is impossible for us to prevent smuggling activities 100 per cent, we will work together to decrease it,” he said. Attention will also be given to prevent smuggling activities of illegal items, such as drugs, and of goods such as sugar and rice. 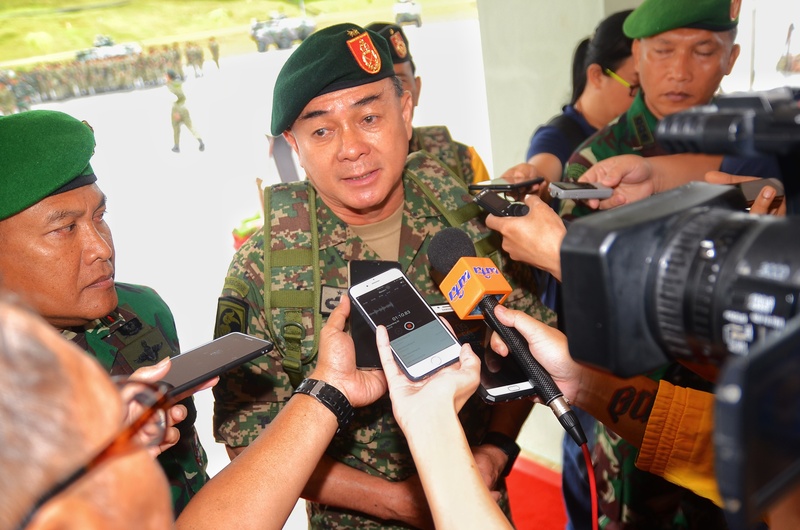 Meanwhile, speaking on the event, Toh revealed that it will go on until September 22 involving the Malaysian Third Infantry Brigade and the military team from Indonesia from the Brigade Infantri 24/Bulungan Cakti. “We will also have field training in Tebedu, Mongkos and Padawan,” he said. Army team confident in controlling border smuggling activities 0 out of 5 based on 0 ratings. 0 user reviews.